This contest will run from June 17 to June 23, 2018. One stay will be given away to one randomly chosen winner. We will be announcing our winner of the contest on June 25, 2018. You must be 21 or older to enter. Stay excludes holidays and special events and is not valid June 25, 2018 through August 18, 2018; call the resort for availability for all other dates. Expires May 1, 2019. The stay is for seven days, six nights in an Oceanfront Room. 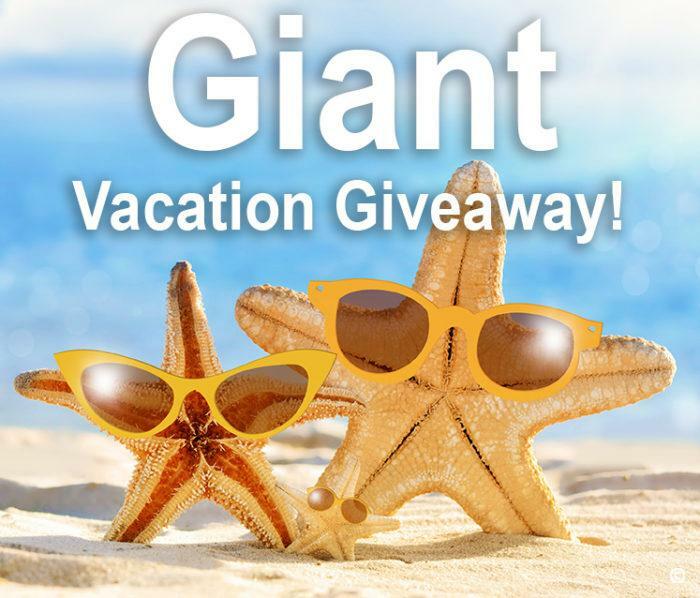 Includes a $200 resort food credit and $200 resort game card, which are not redeemable for cash. No refunds for unused portion of the credits. Prize does not include: transportation to and from the resort, additional food and beverage, room-service, or any other additional fees. Certificate is non-transferable and cannot be combined with any other certificates or vouchers. 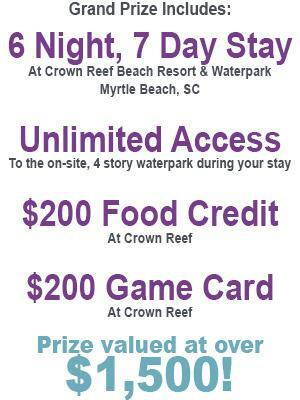 Previous Vacation Myrtle Beach or Crown Reef Beach Resort and Waterpark contest winners who have won prizes in 2017/2018 are not eligible. Vacation Myrtle Beach, Crown Reef Resort and Visit Myrtle Beach employees and their families are not eligible.